Dr. Gallus and Dr. Douglas talk about the risk factors and treatment of delayed wound healing. Today we’re going to talk to you about delayed wound healing. Delayed wound healing occurs when surgical incisions have difficulty healing. Risk factors for delayed wound healing include smoking, diabetes, obesity, steroid use, some medical conditions, and active infection. Wound healing is optimized by controlling the risk factors, as well as meticulous surgical technique. Despite doing everything correctly, some wounds just require a little bit more time to heal. Time and patience are the best medicine, but occasionally minor surgery might be required to speed up the process. 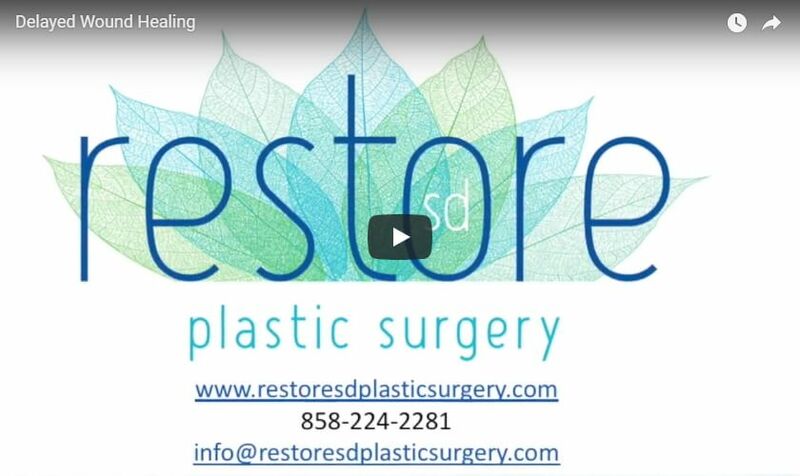 At Restore SD Plastic Surgery, we are firmly committed to the safety and the wellbeing of our patients.